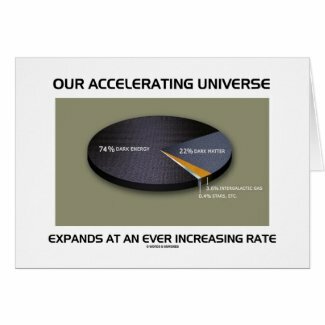 Tautological astronomical humor is alive and well on any of these gifts featuring the portions of dark energy and dark matter that is hypothesized to currently exist in the universe. 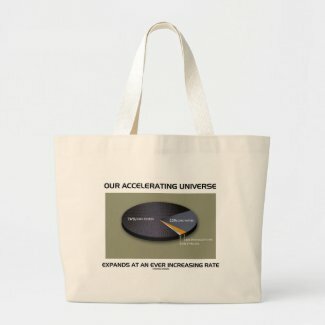 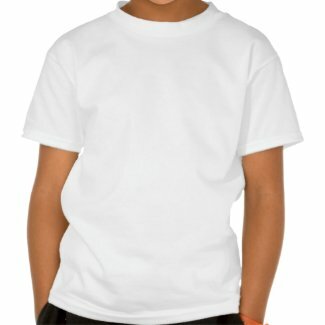 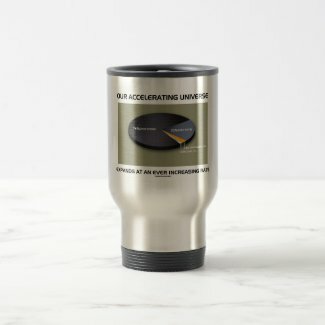 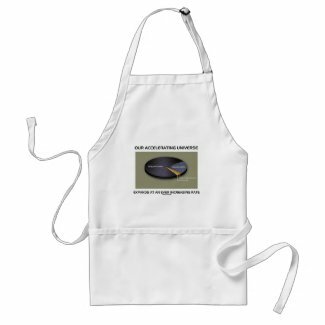 Showcase your wry astrophysics attitude with any of these gifts featuring the following saying: "Our Accelerating Universe Expands At An Ever Increasing Rate". 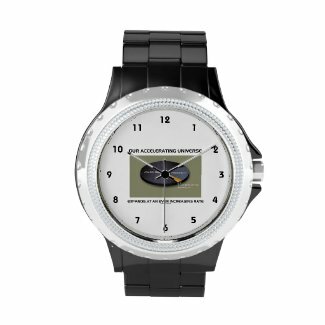 Make others do a double-take on what you mean with a dose of geek humor today!